I have been tasked to evaluate various UML tools for our company. Although we already have some documentation with some UML here and there, we are considering creating a more thorough documentation using UML. We have around 4000 classes inside many packages and subpackages. When I let the tool create class diagrams, I get an error saying that there are too many connections or associations, although the tool works fine. What is the best practice when reverse-engineering so many files? Is there a way to initially only display the packages, and then when a user clicks on them, he/she can delve a bit deeper? As I am new to creating UML diagrams with so many associations, classes and packages, help would very much be appreciated. 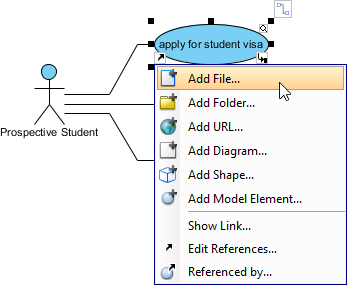 Have you tried using the “Form Diagram” feature? It allows you to have fine-grained control over the scope of elements to create diagram from. This effectively facilitates the creation of more manageable class diagrams. If you want to associate element with other diagrams, you can make use of the reference feature, which allows you to reference not just diagrams but also other elements, files or URLs.